The Supreme Court of India has time and again restricted use of unique identification (UID) number or Aadhaar to public distribution system (PDS) Scheme, the liquefied petroleum gas (LPG) distribution scheme, the Mahatma Gandhi National Rural Employment Guarantee Scheme (MGNREGS), National Social Assistance Programme (Old Age Pensions, Widow Pensions, Disability Pensions), Prime Minister's Jan Dhan Yojana (PMJDY) and Employees' Provident Fund Organisation (EPFO). The Supreme Court has repeatedly emphasised that the UID number where permitted “is purely voluntary and it cannot be made mandatory till the matter is finally decided by the Court one way or the other“. The apex court emphasised that “The information about an individual obtained by the Unique Identification Authority of India (UIDAI) while issuing an Aadhaar card shall not be used for any other purpose, save as above”. The Union of India was also required to “give wide publicity in the electronic and print media including radio and television networks that it is not mandatory for a citizen to obtain an Aadhaar card”. In practice, in blatant contempt of the Courts orders and complete disrespect for the of the Rule of Law various government and non-government agencies have been using the UID number for functions beyond those permitted as also mandating the UID in some of the functions. Information of individuals obtained by the UIDAI has been shared beyond the purposes allowed by the Supreme Court. The government has failed to even issue notifications to its departments or to the UIDAI to cease all use of the UID number beyond that permitted by the Supreme Court. As a consequence of the government’s coercion and disrespect of respect the Rule of Law, helpless citizens are being made to suffer for not using a UID number. Many with a UID number are being made to suffer if their biometric fails or if their number has already been used by unknown persons. At least a dozen petitions, including several contempt petitions remain unheard by the Supreme Court. What can helpless citizens do? Here is a draft notice of contempt along with copies of the relevant orders of the Supreme Court that should be served to each agency in contempt of the orders of the Supreme Court after editing as required. We are shocked that you have been continuing to require and use the UID number and associated data for purposes beyond that approved by the Supreme Court of India. We are also disturbed that you are mandating the requirement of the UID number. This is an unbelievable disrespect of the rule of law and of the repeated orders of the Supreme Court of India. Your actions have also resulted in coercing children, elderly and others alike to have to register for an UID number against their free will. Your actions also constitute an illegal functional creep that cannot be morally or legally justified. Your actions reek of creating a fait accompli before the court finally decides on the matter and hence does not uphold the promise of justice, liberty, equality or fraternity. We draw your attention to the Hon’ble Supreme Court’s orders of 11 August 2015 restricting the use of Aadhaar to PDS Scheme, for the distribution of foodgrains, and cooking fuel, such as kerosene and LPG. This was extended to allow its use for the Mahatma Gandhi National Rural Employment Guarantee Scheme (MGNREGS), National Social Assistance Programme (Old Age Pensions, Widow Pensions, Disability Pensions) Prime Minister's Jan Dhan Yojana (PMJDY) and Employees' Provident Fund Organisation (EPFO) in its orders of 15 October 2015. The Court also stated that the information about an individual obtained by the Unique Identification Authority of India while issuing an Aadhaar card shall not be used for any other purpose. The use of the UID number/ Aadhaar or information associated with it for any purposes other than that allowed by the court as well as it being mandated for any purposes not allowed by the court is a contempt of the rule of law and the orders of the Hon’ble Supreme Court of India. We also draw your attention to the orders of 15 October 2015 where the Court reiterated that the UID number/Aadhaar card Scheme is purely voluntary and it cannot be made mandatory for the permitted uses till the matter is finally decided by this Court one way or the other. We require that you immediately cease to require the UID number as your usage does not fall into the allowed uses of the UID/ We require you to end the mandatory requirement for the UID number and make the procedures for those with or without the UID number identical. We trust you will share your compliance of the orders within 7 days, publish widely your decision to abide by the orders of the Supreme Court and not cause us to seek other remedies and relief for your failure to respect the rule of law. Here is a draft notice of contempt you should also send to the UIDAI along with copies of the relevant orders of the Supreme Court for contempt of the orders of the Supreme Court. We are shocked that you have been continuing to service authentication and KYC requests for UID numbers and provide associated data for purposes beyond that approved by the Supreme Court of India. This is an unbelievable disrespect of the rule of law and of the repeated orders of the Supreme Court of India. Your actions are resulting in coercing children, elderly and others alike to have to register for an UID number against their free will. Your actions also constitute an illegal functional creep that cannot be morally or legally justified. Your actions reek of creating a fait accompli before the court finally decides on the matter and hence does not uphold the promise of justice, liberty, equality or fraternity. We draw your attention to the Hon’ble Supreme Court’s orders of 11 August 2015 restricting the use of Aadhaar to PDS Scheme, the distribution of foodgrains, and cooking fuel, such as kerosene and LPG. This was extended to allow its use for the Mahatma Gandhi National Rural Employment Guarantee Scheme (MGNREGS), National Social Assistance Programme (Old Age Pensions, Widow Pensions, Disability Pensions) Prime Minister's Jan Dhan Yojana (PMJDY) and Employees' Provident Fund Organisation (EPFO) in its orders of 15 October 2015. The Court also stated that the information about an individual obtained by the Unique Identification Authority of India while issuing an Aadhaar card shall not be used for any other purpose. The use of the UID number/Aadhaar or information associated with it for any purposes other than that allowed by the court as well as it being mandated for any purposes not allowed by the court is a contempt of the rule of law and the orders of the Hon’ble Supreme Court of India. 1. Immediately cease providing any authentication and/or KYC or support and use of the UID number for purposes other than those permitted by the Supreme Court of India. 2. Cease to provide any UID authentication or KYC to any organisation mandating the use of UID number for the permitted purposes. C. Allow anyone to suffer for want of it and that UID number. While there is talk about digitization, it is better if you can send these complaints through registered post. This will help you get an acknowledgement and you can also file an application under the Right to Information (RTI) Act to know progress of your complaint. 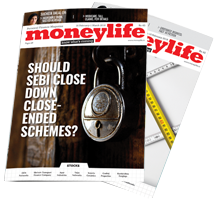 If required, you can also mark a copy of your complaint to Moneylife [email protected]. Please ask others who face the same scene as you to complain. Do please tweet your complaints with #UIDContempt. Can you also link to copies of orders from the Supreme Court? Or did I miss them in the article? 1. Can an FIR be filed against any organization or authority insisting on an aadhaar number? 2. What legal recourse will one have if the Income Tax department declares your PAN card invalid as is proposed in the new "monkey" bill? (Can't really call it a "money" bill now). 3. Possible ramifications if one refuses to provide biometric data for the aadhaar card and stays without one. The countries mandating biometric id's are typically dictatorships, military ruled or terrorist sponsors. Australia, UK, Norway, leichenstein and others do not require any id to claim social services. The present aadhar concept is a pure Rothschild and new world order reptilian project. We already have PAN, passports and driving licenses. Why one more? Some countries (ex. Switzerland) do not recognise your DL as an ID. Why? Those are non expiring type of id's! Even the US recognises state issues DL as your proof of id. School Education department of Maharashtra government has also made it mandatory for all schools to collect Aadhar/UID number of all students and maintain it in school register. No School Leaving Certificate can be issued henceforth without UID / Aadhar number! God bless you sir, God bless you!!! You have given us a role and power in the outcomes. As for me, I gave minimum information at collection stage and haven't given Aadhar number anywhere. But I was feeling helpless as the Aadhar advanced. Now I don't, so much. Thanks again. By the way my bank HDFC, dumps email after email, with email having large conditions, clauses and disclaimers. It is obscene considering that it is on innocent, hapless customers that they play this game. My persistent protests were responded met an instruction to ignore the extra baggage. I don't agree. They must stop sending garbbage truck to my email. Can you please draft a mile long baggage to return the complements to HDFC.? 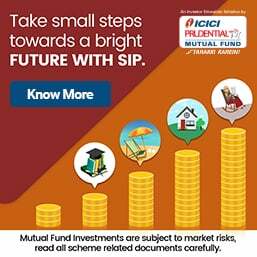 The Competition Commission of India (CCI) has imposed a penalty of Rs12,918 crore in 327 cases in less than four years, Parliament was told on Friday. CCI has imposed a penalty of Rs12,917.63 crore in 327 cases from 2013-14 onwards till October this year, Corporate Affairs Minister Arun Jaitley told the Lok Sabha in a written reply. "Penalty of Rs10,454.08 crore has been stayed by Competition Appellate Tribunal/High Court/ Supreme Court, while penalty of Rs2,427.90 crore has been dismissed by Competition Appellate Tribunal/High Court/Supreme Court," he said. Out of the amount of penalty imposed, an amount of Rs29.49 crore has been realised and penalty of Rs6.16 crore remains unpaid, Jaitley said, adding necessary actions are taken by CCI for recovery of penalties, as per provisions of the Competition Act, 2002. "Wrapping food in newspapers is an unhealthy practice and the consumption of such food is injurious to health, even if the food has been cooked hygienically," the Food, Safety and Standard Authority of India (FSSAI) said in an advisory. "Printing inks may also contain harmful colours, pigments, binders, additives, and preservatives. Besides chemical contaminants, presence of pathogenic micro organisms in used newspapers also poses potential risk to human health," the advisory said. "Older people, teenagers, children and people with compromised vital organs and immune systems are at a greater risk of acquiring cancer-related health complications, if they are exposed to food packed in such material," the advisory warned. The advisory comes after Health Minister J.P. Nadda's directions to the food regulatory authority against the practice of wrapping and covering food items in newspapers in India. Speaking in this regard J.P Nadda said: "It has been observed that vendors have been using newspapers in packing and serving food, which is harmful. I urge the public to dissuade the vendors from doing so."